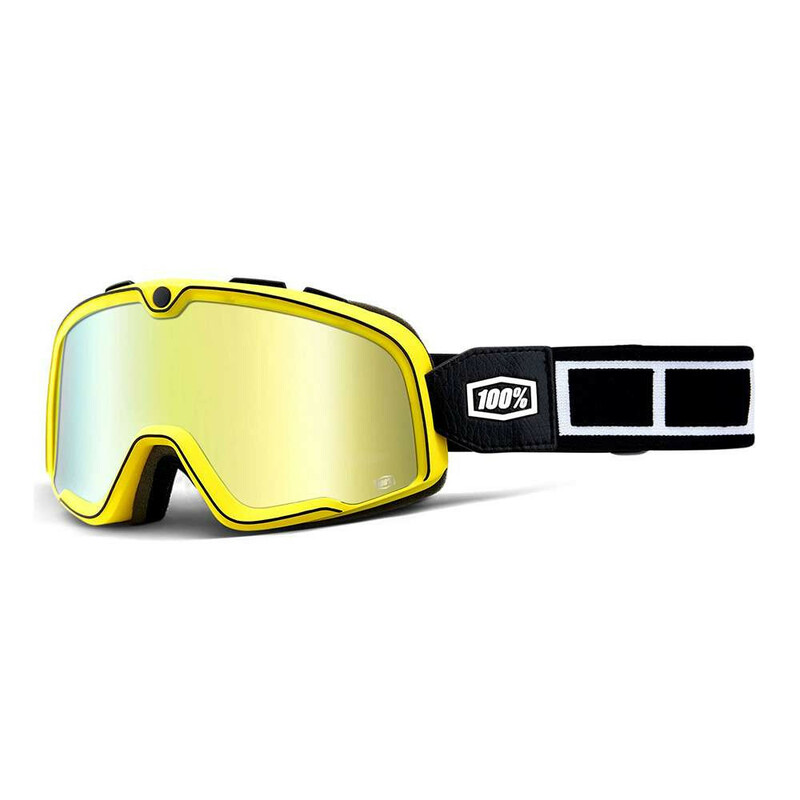 The Barstow Classic Goggles from 100% are a classic, vintage style goggle manufactured with the latest technology to give you a wind and dust free ride. The goggles feature upper vents to reduce fogging, triple layer fleece lined foam for comfort and spare clear lens. Also included is a custom goggle bag. The frames on the Barstow are quite large, please measure the aperture of your helmet to see if they will fit.